Judy is a floral designer and a wedding and party consultant. She provides hotels and restaurants with elegant weekly lobby arrangements. Steve is familiar with hundreds of varieties of outdoor plants, shrubs, perennials and annuals. He makes his own designer soil, gardens and creates interior and exterior landscapes. He has a very convenient plant finder service and delivers in the Eastern Connecticut and Western Rhode Island areas. 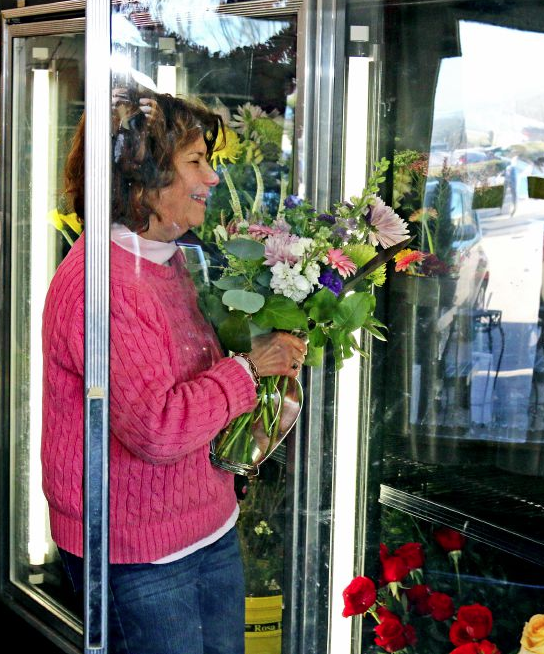 ​Judy Mann places a floral arrangement in the cooler at her shop on Tuesday, March 6, 2018. Judy, and her husband Stephen, are co-owners of the floral shop Pot of Green, which has been in business for 45 years.